The Elizabethan Recusancy Laws directly effected all English Catholics. Elizabeth succeeded her Catholic sister Mary I on November 17 1558 and immediately re-established the Protestant Anglican Church. The Elizabethan Recusancy Laws were established due to the 1559 Act of Uniformity of Common Prayer and Administration of the Sacrament in which attendance at church became compulsory and non-attendance was punishable by fine or imprisonment. The Elizabethan religious settlement was passed by Parliament on 29 April 1559and the Elizabethan Prayer Book was first used June 24, 1559. The definition of recusancy was the refusal to submit to established authority. The Recusancy Law was originally directed the refusal of Roman Catholics to attend the services of the Church of England. The word Recusant derives from the Latin word 'recusare' meaning to refuse. This applied to an English Roman Catholic of the time from about 1570 to 1791 who refused to attend services of the Church of England and thereby committed a statutory offence. The Recusancy Laws specifically targeted Roman Catholics who were referred to as "Popish Recusants". Popish Recusants were defined as those "convicted for not repairing to some Church, Chapel, or usual place of Common Prayer to hear Divine Service there, but forbearing the same contrary to the tenor of the laws and statutes heretofore made and provided in that behalf." The first statute in which the term "Popish Recusants" was used in "An Act for restraining Popish Recusants to some certain place of abode", which was passed in 1593. The attitude of the Protestant Queen Elizabeth to the Catholic recusants was initially a moderate one. She wanted peace in England and her emphasis was on 'outward Conformity as opposed to Inward Conviction'. But the events of the St. Bartholomew's Day massacre which occurred on August 24 1572 were not forgotten in England. On St. Bartholomew's Day 1572 French Protestants were massacred by French Catholics in Paris. The massacre was witnessed by Sir Philip Sidney, Sir Walter Raleigh and Sir Francis Walsingham. Similar atrocities elsewhere in France result in thousands of deaths, and caused panic in England with fears of a Catholic invasion. An invasion did not materialise so the attitude of Elizabeth to English Catholics remained a moderate one. However, their were various Catholic plots which threatened the security of Queen Elizabeth and the security of English Protestants. The constant presence of Mary Queen of Scots presented a focal point for Catholic plots and conspiracies. 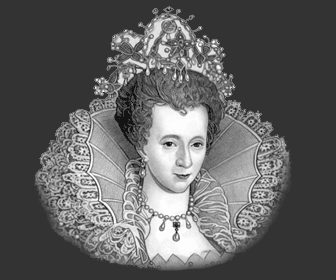 The threat from English Catholics and Catholics from abroad increased the earlier Recusancy Laws and punishments were made harsher towards the end of Queen Elizabeth's reign. The strict Recusancy Laws imposed by the 1559 Act of Uniformity resulted in various punishments for Catholic recusants. 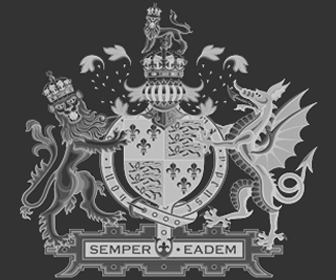 Additional Justices of the Peace were appointed in all areas of England who produced Recusancy lists which supplied the government details of Catholic recusants. Additional details, facts and information about other Elizabethan Laws in Elizabethan England can be accessed via the Elizabethan Era Sitemap.